Between the estuaries of Vigo and Pontevedra, at the westernmost point of the Morrazo peninsula, is the Costa da Vela. It is a natural area of ​​1,400 hectares in which beaches, dunes, pine forests and huge cliffs are joined that impress all who come to discover them. From side to side, this little piece of coast is not more than six and a half miles. However, it is full of attractions that make any curious visitor want to go into it and want to stay there to live. In fact, and for some years, holds the title of Place of Community Interest. At the southern end of the Costa da Vela is Cabo Home with three points, each with its lighthouse. Among them are a small cove with the beach of Melide and protect the succession of three other sands: Barra, Viñó and Nerga, with dunes of unusual shapes. To one side, a large white lighthouse, which bears the name of the cape where it is located and the only trace of the human being on that part of the coast. It is accessed by a path that, despite the incessant wind, is easy to access for anyone. In fact, it is very worth doing, because with its more than 160 meters in height, it is one of the highest lighthouses in Galicia. On the other side, with a red color that tends to garnet, another lighthouse, Punta Robaleira, which serves as a counterpoint to a landscape in which blue, green and gray dominate everything. And to the bottom of both lighthouses, the Cíes. The third lighthouse, Punta Sobrido, is located on the left and more “hidden” part of these lands. 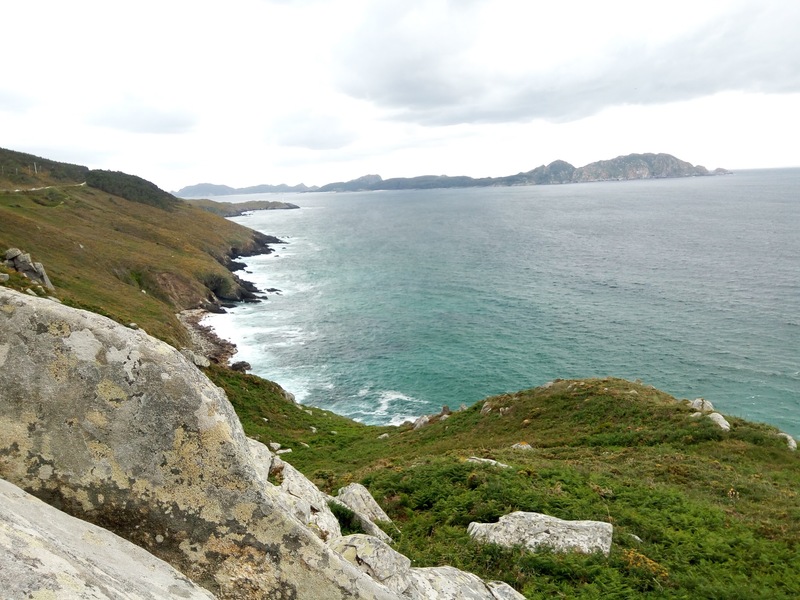 Following our route we arrive at Monte do Facho, a former Castro fortress and Galician-Roman sanctuary from the 3rd century located at 160 meters above sea level and offering a privileged view of the Cies Islands and the Vigo and Pontevedra estuaries. And is that in Monte do Facho stands a modern gazebo attached to the castro that is, according to those who know it, the best viewpoint in the entire province of Pontevedra. The discoveries of the top of O Facho de Donón also revealed a unique sanctuary, a “forest of aras” composed of almost two hundred slabs consecrated to the god Berobreo. It also has easy access: from the town of Donón is an ascent of approximately thirty minutes. And it is, as we say, the high point of the Costa da Vela where the panoramic views reach its widest stretch. The word “facho” alludes to the small tower of the seventeenth century built with remains of Roman aras that could be used as a watchtower to warn of the attacks of the Turkish pirates. Already in antiquity, this place overlooked by wild cliffs on the sea was a place of pilgrimage, but the beauty of the sea viewpoints together with the beaches and archaeological sites makes it still a natural destination with a formidable attraction. We can not forget to highlight the numerous species that hide this area, such as the monarch butterfly, an insect that was found here for the first time in Spain. It is also easy to find yourself at every step with the famous “herba de namorar” or “herba namoradeira”, origin of numerous legends related to the “meigas” and the “feitizos”. And what can we say about the sound of the sea and its waves from here … Absolutely hypnotic. Costa da Vela is an impressive site. For real.